Look for 3rd Quarter grades in the mail this week. GEAR UP dinner tonight at the Glenoma Fire Hall. Baseball & Fast Pitch Senior Night is tonight at White Pass. HS Fast pitch game has been cancelled. Practice will be in Morton. High School Evening of Excellence is tonight at 6:30. Seniors and Senior Parents: Senior Tea letters are due to Mrs. Hanks by Tuesday, April 30. Reminder: Senior Graduation Projects are due this Friday, April 19. BABERUTH SIGNUPS Boys ages 13-15 signups are on Monday, April 15th at 5:30 in the Morton Batting Cages. There is a possible practice on this day as well after signups if there are enough players. For more information contact Brandon Higdon at (360) 496-1314. Sign-Up and meeting for Babe Ruth, Monday, April 15 at 5:30 pm, in Morton. It will follow high school practice. Babe Ruth sign-up form is outside of the office window. MWP High School Girls Basketball Awards Event, Tuesday, April 16 at 6:30pm in the White Pass High School Commons. Any seniors who applied for the White Pass Scholarship need to sign up for an interview time. The sign-up sheet will be in the school library with Ann. Seniors your senior projects are due to your adviser by Friday, April 19th. There is Senior support through GEAR UP during core/flex time. Babe Ruth sign-up form is outside the office window. Seniors are selling pizza kits. MWP Track competing in Yakima today. Boys’ 4x100 places first. Brother Woods meeting Friday at lunch in Mr. Judd's room. High school baseball game schedule for Friday, has been moved to Thursday. Mary Prophit will be a guest reader today during CORE in Mrs. Hendrickson's room. Junior High track meet today in Onalaska. Bus leaves at 1:15. Fastpitch vs. Kalama at Morton. Game starts at 4:00, bus leaves at 2:15.
Who needs community service hours? Want to have fun earning them? Glenoma’s annual Easter Egg Hunt will be on April 14th at the Glenoma Park. They are in need of someone to play the Easter Bunny – the mascot costume will be provided. They are having a work party to make the baskets (almost 200 of them) on Tuesday, April 2nd at 6:00. Any help would be greatly appreciated. 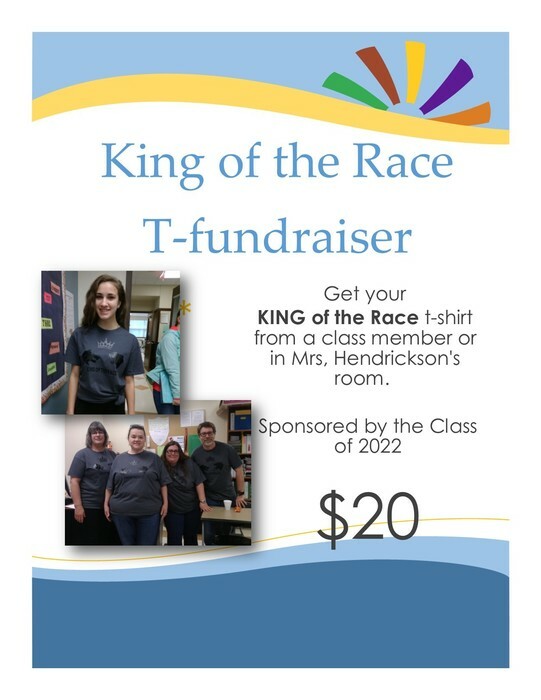 See Ms. Foley for more details. ASB card and turn out fees need to be paid to Ann in the high school library. These fees need to be paid before you may participate in the first game or meet. Sophomores, Juniors, and Seniors – are you interested in exploring a career in health care? Would you like to attend a health care career & education speaker panel on March 26th ? See Ms. Foley for permission slips. ASB card and turn out fees need to be paid to Ann in the high school library. These fees need to be paid before you may participate in the first game or meet so be sure to get it paid right away! All after school activities have been cancelled for today. This includes all of the White Pass School District. On Friday, March 8th, Hampton Mill will be here during CORE/Flex giving a presentation on jobs and careers available. Students in Flex are encouraged to attend this presentation in the library. Seniors: Are you staying up on scholarship applications? Many due dates are coming up soon. There will be a newspaper meeting Thursday morning at 7:45 a.m.
Senior portraits and baby pictures are due to Mrs. Rashoff by Wednesday, February 27. Please email them to her at drashoff@whitepass.k12.wa.us or bring in to her classroom for scanning. On Friday, March 8th , Hampton Mill will be here during CORE/Flex giving a presentation on jobs and careers available. Students in Flex are encouraged to attend this presentation in the library. The Junior High dance has been reschedule for tomorrow, February 22, from 1:30 to 3:30. Cost with ASB is $2.00 Without ASB $3.00. Anyone planning to turn out for a spring sport be sure to get your paperwork turned in before Monday. You have to have a current physical on file before you can practice. Seniors: senior pictures and baby pictures are due to Mrs. Rashoff by the end of February. Senior pictures and baby pictures are due into Mrs. Rashoff by Thursday, February 28th. You may submit them through email or bring in the picture for scanning. There will be high school Fast pitch sign ups on Thursday, February 21, at lunch. Due to District Basketball games getting cancelled on Saturday, the MWP District basketball game scheduled for Monday evening February 11, has been postponed. Makeup date is still to be determined. Update: This is the White Pass School District. Tomorrow Monday, February 11th, school will run two hours late. Buses will run on snow routes and there will be no preschool. HS Boys' Basketball won last night and advance to the next regional game. The next game is scheduled for Thursday, February 7 at 7:30. The game will be at WF West in Chehalis against Kalama. U12 and U14 Baseball and Fastpitch signups will be Tuesday, February 12th at 6:00 pm in the White Pass Elementary Gym or Morton Elementary Cafeteria. For more information for baseball, contact Joe Hamre and for fastpitch, contact Jen Montoure. See Tamara for contact numbers. Employment Opportunity Tacoma Power has some summer work available at the Taidnapam Park. If you will be 18 years old and are able to work 40 hours per week, see Mr. Schumaker. Last regular season HS Boys' basketball game tonight. The team plays in Mossyrock. Daily News January 29 *GEAR UP will be hosting their dinner tonight at 5:30 at the Museum in Packwood. *Students who took the ASVAB will be released at 8:15 on Wednesday, January 30 th to go over their results. *This is a reminder to students that discipline for tardies has started over and will be enforced. Please be sure to be on time for class! *U12 and U14 Baseball and Fastpitch signups will be Tuesday, February 12 th at 6:00 pm in the White Pass Elementary Gym or Morton Elementary Cafeteria. For more information for baseball, contact Joe Hamre and for fastpitch, contact Jen Montoure. See Tamara for contact numbers. White Pass Scholarship: Senior you can locate the application on line. Special Senior Class meeting Friday, January 18, to vote on senior trip. Meeting will be at lunch in the commons. Schedule changes for second semester: fill out a request form and place it in the box outside of Mrs. Mullins' office by January 23. January 12 - HS Boys' basketball at Naselle. Bus leaves at 12:30 pm. January 11 - HS Boys' basketball vs Napavine at White Pass. January 10 - Jr. High Boys vs. Kalama at Morton. C Team begins at 4:30 pm. Reminder to Seniors : baby and senior pictures are due to Mrs. Rashoff by the last day of February. Traffic Safety - last chance to sign up. Three spots left. High School Girls Basketball at Kalama. Bus leaves at 4:00 PM. Game begins at 7:00 PM. High School Boys Basketball vs Kalama at White Pass. Jr. Varsity game begins at 5:45 PM. Varsity game begins at approximately 7:00 PM. Remember to purchase a yearbook before by December 19th to take advantage of the early bird discount. $50 will reserve you a book. Senior Class is selling poinsettias for $20. They have several to sell before December 19th. Contact the high school office if interested in purchasing one. Wear your ugly Christmas sweater to tonight's game and the boy and girl who has the ugliest sweater will receive a prize from the cheerleaders. Traffic Safety sign up is outside the high school office window. Class is open to the first 16 students who complete the paperwork and pay a $50 deposit. The class starts February 2nd and goes through the end of March. The cost is $350. Don’t forget about the Winter Program tonight.